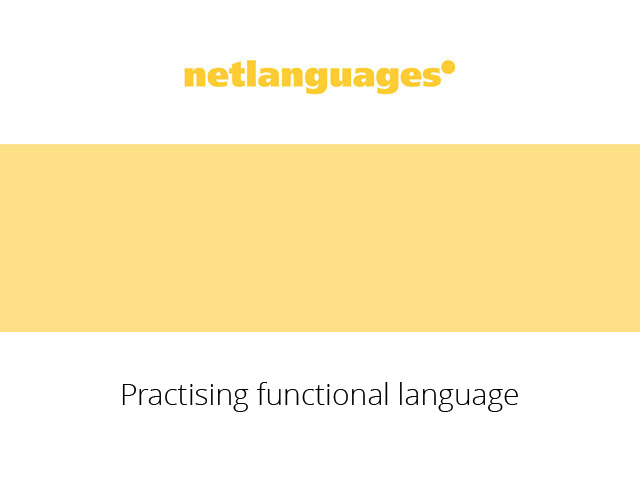 Functional language is language that you need in different day-to-day situations. For example: greeting, introducing yourself, asking for or giving advice, explaining rules, apologising, or agreeing and disagreeing. Any one of these functions can have a number of different exponents, or fixed expressions. For example, giving advice we could say: I think you should …, Why not …’ How about …? Have you thought about …? Or, to explain rules, we can say: We can’t …, we’re not allowed to …, and we have to …. Why is it important to learn functional language? The more functional language you know, the more real-life situations you can interact in. You can learn different expressions for different contexts. Some expressions are more suitable for a formal situation than an informal one, some you use with close friends and others with strangers. If you are learning a new language, it’s as important to learn functional language as it is to learn vocabulary, or even grammar. How do you design a course to incorporate functional language? To prepare learners for real-life communication (in the target language), many language courses focus not only on grammar, but also on how grammatical forms can be used to realise different functions such as giving instructions or giving an opinion. How do syllabus designers incorporate functional language into a language course? One way is to organise the syllabus around certain topic areas. For example, a unit on the topic of travel could contain the functional language of asking for or giving directions, or useful expressions we use when telling travel anecdotes. A unit on the topic of helping people could incorporate the language of asking for help, or ways of responding to requests, accepting, or saying “no” and giving an excuse. In the Net Languages courses, functional language appears in a section called Takeaway English. This section of the General English courses ensures that a wide range of useful functional language is highlighted and practised throughout our courses. 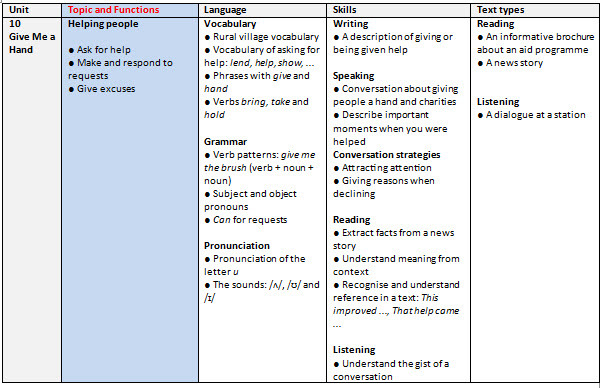 As functional language involves interaction and dialogue, it is best to present it in the context of a real-life situation so that learners can see how functional language is used to achieve different objectives. Short videos of different situations can be a very effective way of focusing on functional language. The following video is from the Takeaway English section of a Net Languages General English Pre-Advanced (B2+) unit. It focuses on giving on-the-spot instructions, making requests, offers and predictions, and making suggestions about the best way to do something.